The fine folks at the worlds oldest web directory(BOTW.org) have a %20 off coupon for the month of February. I’ve been late to blog about it, but better late than never some say. The total price for getting into Best Of The Web is $299 USD, so that extra savings makes it for a good time to jump on board. For those wondering why they should bother? Well, the process is all human and requires a site of quality to be listed here…something that is a sign of quality. They’re the oldest running web directory, their categories rank well and more trust is passed onto your site. To get your discount all you need to do is input the discount code FEB20 in the order form after clicking the link below. BOTW Discount/Coupon 3 Days Left! My favorite web directory, Best Of The Web, has yet another discount in the works and it’s about to expire. I know a lot of people like to take advantage of a quality link from a reputable source, so now’s your chance on the cheap. The coupon code is SAVE20 and it will knock off %20 of the regular price which turns out to be a nice chunk of change. There are only three days left to act on this deal so decide quick or wait it out for the next discount run they usually do a few times per year. Yahoo recently announced that the UK/IE section of their directory will be closing down come November 18th, 2010. While this directory has been going strong for a decade, Yahoo has given you users options. You can now handle submissions to the UK/IE section that is under the main Yahoo directory. While it should be linked off the main site, you’ll have to dig a little deeper to find the announcement. You may continue to maintain your listing through the US based Directory Submit program. Your site will remain listed in the Directory as it is now, and the applicable annual fee will apply on your anniversary date. No further action on your behalf would be required. I’m not sure if we’ll see further closures within the Yahoo Directory regions, or if this is a sign of the whole thing slowing down. While I don’t think these directories pass anywhere near the same amount of link juice as they once did, I’d still want to be linked under my region from a domain like this. DMOZ is still worth it if you can somehow get a link, but you pretty much need a magical wand to make that happen. If you want to get in on the discussion, you can find us in this Webmaster World thread. – RTD50 gets you $50 off the regular price of a yearly inclusion in into the Business.com Directory. – DIBUY3 will get you a 3 for 1 directory listing discount if you have a few sites to get in here at once. I’ve been meaning to get some more resources and information up for the Business.com Directory that will save you money. I’ve scoured the web to create a list of the latest working Business.com coupons that provide some sort of ease on your wallet this year. For those of you that know the value of these links read on, and the rest of you can hear me out as to why I get all my clients listed here. When determining if a website is a good link acquisition I take a look at a few factors to keep up the quality level. These should already be stored in your brain’s database, so if not I’ll put them out there for the folks new to all this link confusion. I use a little well know tool called SEO Quake to handle my ninja-like quality scoring factors, mainly because it’s free, quick and easy. I know PageRank is a hard quality factor these days, but there is still room for measure. I like to take anything with a PageRank of 4 or higher with some serious consideration. Ok, so we know that PageRank isn’t the end all here. I specifically take a look at few different factors when it comes to wanting a link from a target website. My factors are age, indexing, link profile and relativity to your own niche and or business. A domain with some sort of credible history of being indexed and a legit site goes a long way towards making my brain feel at ease. Everyone who reads this blog should know by now to be peering into their links at least with the SEO Quake toolbar. I ran them through Link Diagnosis for everyone to have a look at because this is a site that has a lot of link authority. Keep in mind this Business.com link profile isn’t their entire set, but a good indication that they pack a powerful link punch. 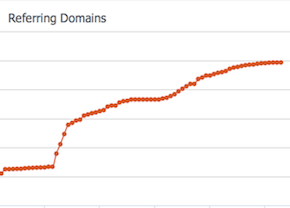 The next factor in the equation is the Alexa rank and how well indexed the site is. With over 65,000 categories boasted in the above picture, I see that they have over 66,000 indexed pages in Google. Just to sweeten the deal they have over 133,000 index in Bing, and Yahoo with just over 347,000 indexed pages. You never have to worry about your link going out of the SERPs, so it is money well spent. Passing the quality inspection required to get into the Business.com directory means that the results are trusted. They have built their entire business on quality so naturally the link authority followed. Want A Link From a 15 Year Old Domain? BOTW Coupon! If I could show you the amount of positive SERP results I see from clients getting listed in Best Of The Web, I’d be fired. I always talk about the directory for a good reason, it’s old and it helps you gain the trust of Google. Having your business pass their review helps your website establish some credit and gives a boost to your overall SEO efforts. Best Of The Web is having a huge 20% off during September sale and if you’ve been thinking about signing up, now’s the time. Just follow the link in the article, or click on the big awesome picture I hacked up GIMP. When you’re signing up and it asks for a discount code enter in SINCE94. A lot of you may never had paid for inclusion in a directory, and the other lot of you know the benefits of the key players still left on the market. Directory links are sometimes iffy business these days, so is there anything left paying for? To keep it short the answer is yes, but let’s take a closer look at which I think are worth paying for. Some of you may be business owners, or SEO consultants, but there are a few things you have to keep in mind before paying for inclusion. The most authoritative and quality directories left with a lot of traffic, good Pagerank and link juice are mostly directories you pay for. Over the past couple of years I’ve kept most of my directory link building within the niche of the client, and only submit to the few quality directories in their market. I’ve never bothered with directory submitting software mainly because I believe in quality over quantity. Some of these directories listed below will most likely always show up in the backlink profiles of people ranking for the toughest keywords on the web. I’m not saying they’re god’s gift to ranking well, but it really does say something about the quality of your website if you have some of these backing you. One of the major thing I’ve seen over my years is that you’ll quickly notice your search engine position stops bouncing around so much. If you’re a new site, these are also a great first step in getting past the hurtles of ranking in a crowded marketplace. The Yahoo Directory – This is the most well known paid directory that most serious businesses online will have included themselves in. The Yahoo directory provides you with a very juicy dofollow link that I recommend to all my clients. The price for a review into the directory is $299 per year and recurring fee’s every year after that. 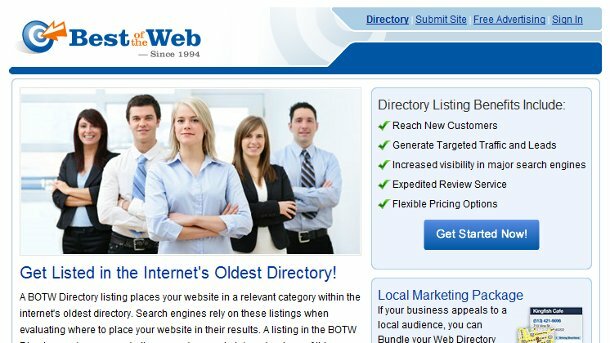 Business.com Directory – If you’re running a business then this is the ultimate first step in gaining trust within the search engines. This directory has been running strong for a decade, and with that age and trust comes one powerful backlink. The price for this directory is $299 USD with a recurring fee of $299 USD yearly. V7N Directory – The v7n webmaster community has been a great asset to the online community, and their web directory has stood the test of time. The directory requires a human review so only quality sites should be submitted to the directory. The cost is a one time fee of only $49 USD which is fair cost for the quality submission. Submit your site now. Best Of The Web – This is one of the oldest web directories on the block and has out lasted anything in its path. They’ve kept things fresh by keeping a very clean directory, as well making two additions to the site. Those two additions being the blog directory and local search directory. The price is also right at BOTW, you can either pay a yearly fee of $99 USD, or a one time fee of $250 USD which will last a lifetime. Click Here To Submit To BOTW. Aviva Directory – This directory is another oldie and a goodie. Running for almost 6 years now, the Aviva Directory has provided a clean and quality web directory that has long since been reckognized as an authoritative directory. They have two different listing options with the first bring only $49.95 USD yearly for a regular link. The second being $74.95 yearly for a premium listing which gets featured at the top of the category. Click Here To Submit. Massive Links Directory – This is another great web directory that has seen a lot of traffic growth over the past 6 months. So not only are you getting link juice from this site, you should see a steady flow of web traffic as well. The directory is surprisingly clean and full of medium to high quality sites only, so don’t submit a lousy site. JoeAnt.com Directory – Going on its 10th year in business, this web directory holds a Pagerank of 6 and has a ton of quality traffic. Listing within this directory is only $39.99 one time fee which is a killer deal for what you get. Submit Your Site Now. WhatUseek Directory – This directory has been online since 1996! They hold a Pagerank of 7 and is still one of the top sites on the web. Your link in this directory is very juicy and well worth the price to get in. You’re looking at only $24.99 for a regular listing, or you can pay more for a review within 2 business days. 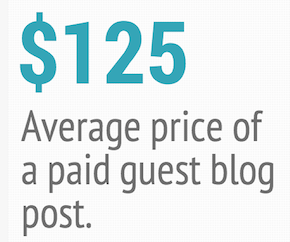 There is a yearly recurring fee of only $14.99 and you can submit your site here. Family Friendly Sites – A web directory composed of you guessed it, family friendly websites only. This directory has been running for 9 years and holds a Pagerank of 6. This is another high quality directory you can get a juicy link from starting at only $19.95/year for a basic listing, $49.99 for a permanent listing and $59.95 for a yearly premium listing. Submit your site today.